Peter J. “Pete” Petropoulos was born in Queens, New York, on February 20, 1915. During the 1930s, despite his diminutive size, he was one of the leading athletes in the Borough, excelling in both baseball and basketball. A left-handed pitcher, he was often overlooked by pro scouts because he was small, but in the spring of 1937, he was invited to report to spring training with the Class A New York-Penn League's Albany Senators. Petropoulos, however, turned down the offer because he had secured a job at a department store. Instead, he played baseball that summer with the Astoria Diamonds. In 1938, Petropoulos was pitching for the Maspeth Melvinas semi-pro team and playing basketball for the Castle Hall Pros, as well as throwing batting practice for the Brooklyn Dodgers, when another opportunity to play organized baseball came along the following year. He had a spring tryout with the Minneapolis Millers in Daytona Beach, Florida, in 1939. Although he didn't join the team when they headed north, he did stay in Daytona Beach and pitched for the Daytona Beach Islanders in the Class D Florida State League. Released by the Islanders in late May, he joined the Leesburg Anglers in the same league, and moved on to the DeLand Red Hats, also a Florida State League entry, in August. Petropoulos finished the season with a 9-10 record and 3.79 ERA, over 35 games for the three clubs. In 1940, Petropoulos caught on with the Fort Lauderdale Tarpons of the Class D Florida East Coast League, and was 7-4 as a pitcher with a 2.88 ERA, but also played first base and the outfield, batting .220. In October 1940, he was with the Tarpons on a 10-day tour of Cuba, before returning home to Queens where he played basketball during the winter months. From 1939 to 1941, he played professional basketball for the Paretti Association team in the Long Island Professional League. Paretti were league champions in 1940. For the 1941 season, Petropoulos was slated to join the Jackson Tars of the Class B South Atlantic League, but he decided to quit professional baseball. On March 6, 1941, Petropoulos was drafted and entered military service with the Army. 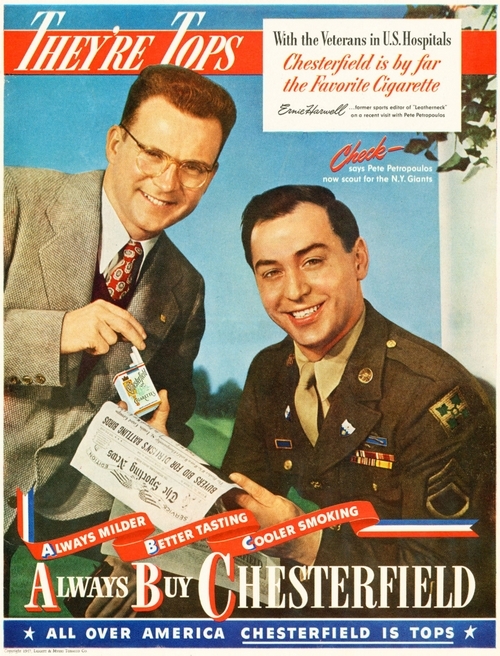 Stationed at Fort Benning, Georgia, he pitched for the 1st Battalion team and, on June 8, 1941, Petropoulos threw a 4-0 no-hitter for the 22nd Infantry Regiment team against the 20th Engineers. In November 1941, he wrote Bob Mann of the Long Island Star-Journal: "With playing basketball, maneuvers in Louisiana and now in North and South Carolina, have been all over the South. But I still wish I was back in Queens. This isn't an easy life." In 1942, Corporal Petropoulos was assigned to Camp Gordon, Georgia, where he married Gloria Odom, pitched for Camp Gordon team and also for Waynesboro in the Georgia State (semi-pro) League. During the winter of 1942-1943, he captained his basketball team to the 4th Infantry Division title with a record of 28 victories and six defeats for the season. In April 1943, after two years at Camp Gordon, Petropoulos was transferred to Fort Dix, New Jersey. In January 1944, Staff Sergeant Petropoulos left the safety of the United States and arrived in England as part of the D-Day invasion build-up with the Company D, 22nd Infantry Regiment, 4th Infantry Division. On June 6, 1944, the 4th Infantry Division landed at Utah Beach in Normandy, France. "I thought I saw plenty playing baseball over the country," he told Lou O'Neill of the Long Island Star-Journal, "but my eyes saw much more over there. We (he and 23 men of his machine-gun section) established the beachhead on Normandy on June 6 - D-Day - and kept on going forward. We had to plough through water for two miles. "On June 7, at 2PM, our lieutenant took us to a position in between two open fields. We were in a hedgerow. The Jerries hit us from the front right side and worked to our rear. My battalion laid a smoke screen and fell back to a better position. The 24 of us were alone fighting. I told my men to pull out while I threw a few hand grenades — and hoped for "strikes" — to give them cover. But in a few moments the Jerries hand-grenaded me. Only three of my men got away and I was the only one left alive on the field. The Jerries killed the other 20. I played dead. "On June 8, the Germans put me in a barn with other American wounded. After I had lain there for two days and one night they took us to Monteburg, 12 miles from Cherbourg. All of us lay there with the American forces hitting the town day and night and the Navy shelling the town from the Channel. The torture we went through I will never forget. We had only a glass of milk a day with some crackers. No medical aid. And both of my feet were hit, shot twice in my left leg, my right femur broken with a hole in it as big as an indoor baseball. My left hand was broken. The town was finally taken June 19, 11 days later, by my regiment. The doctor said only my good physical condition pulled me through." Petropoulos was shipped back to the United States with a Silver Star and Purple Heart. He was sent to Rhoads General Hospital in Utica, New York, where it was feared he might have to have both legs amputated. Seven major operations followed and the former ball player’s legs were saved. 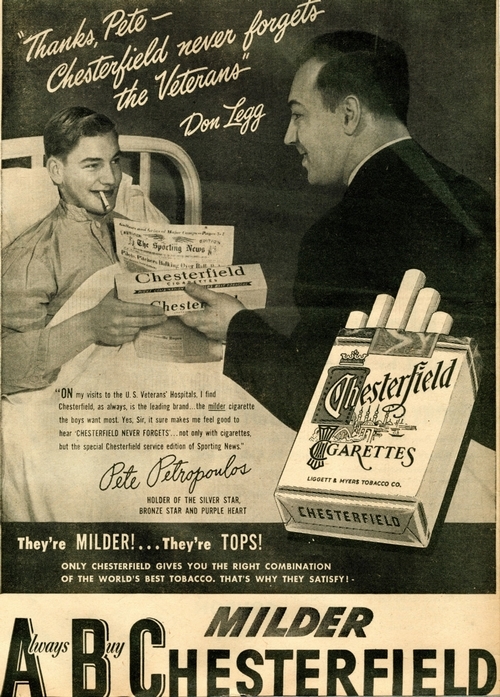 This tour was later expanded to take in veterans’ hospitals in southern states, and Petropoulos also managed the Chesterfield-Sporting News (later Chesterfield Satisfiers) baseball team that played at veterans’ hospitals for the next 12 years. 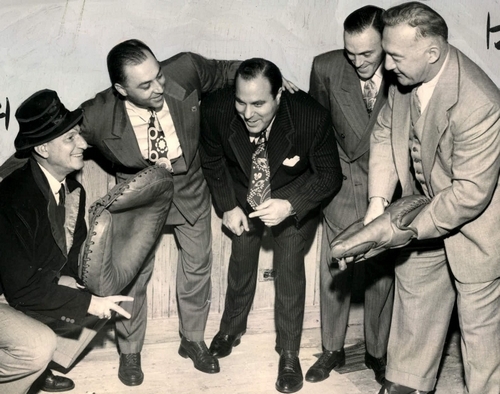 By 1950, Petropoulos was also running Greater New York Sports Promotions, an agency booking events for baseball and basketball teams, including his own professional basketball team – the Long Island Bombers. In 1955, The Sporting News gave him his own column – Sounding Off with Pete Petropoulos – in which Petropoulos gave his views on all major sports. After leaving Liggett & Myers, he joined Rudd-Melikian, the food and beverage vending machine company, and was their Director of Special Services for worldwide sales. Pete Petropoulos, ballplayer, wounded veteran and recipient of the Silver Star and Purple Heart, passed away, aged 81, on December 1, 1996 in Atlanta, Georgia.